We strive to deliver the best service and quality. Should you have any comments, suggestions or questions than we would love to hear them! The Uniforme Voorwaarden voor de Horeca (Hospitality terms and conditions) apply to all of our transactions. You can also use the contact form below for any comments, suggestions or questions you might have! 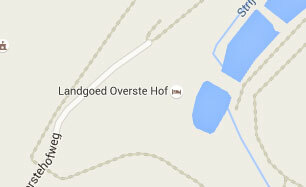 Landgoed Overste Hof has sufficient parking space.